The “Statue of Love” And Ride Your Heart ‘Til It Breaks – What’s It All About? It is said that the spaces between the notes make the music. In the same way, the longing between separated lovers makes the story of their love. Batumi is a seaside city and the capital of Adjara, an autonomous republic, in southwest Georgia. There, at the edge of the Black Sea, Georgian artist Tamara Kvesitadze has created the 26-foot tall, moving sculpture called “The Statue of Love.” Her steel creation is based on the tragic love story of Ali and Nino, a Muslim boy and Georgian Christian girl who were separated by the coming of World War I and the Russian Revolution. Nino fled to Paris with the couple’s child while Ali joined the defense of Azerbajan and was killed when the Red Army invaded in 1918. 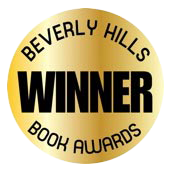 The novel by Kuban Said, a Dr. Zhivago– style epic, was published in 1937. At seven p.m. each evening, the computer-controlled statues move slowly toward each other in a spectacular light show, They join briefly in a passionate kiss, and then pass through each other, leaving the beloved behind. When I saw this video, I wished I could send it to Unhappy Reader, whose dissatisfaction with Ride Your Heart ‘Til It Breaks, I explained in my last post. Perhaps viewing the video of “The Statue of Love” would explain the story of Carrie Moon and Stan Benedict to Unhappy Reader in a way my words apparently failed to do. 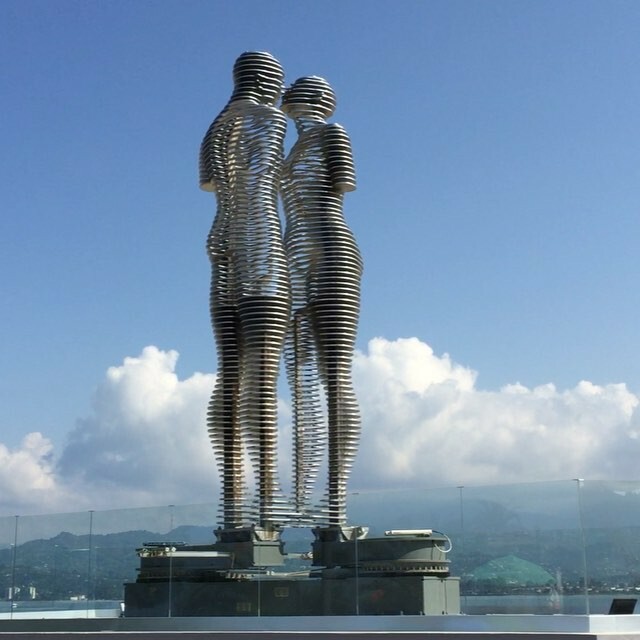 At the beginning of Ride, an invisible force seems to draw Stan and Carrie toward each other evening after evening in Jazz By the Bay, just as the statues move toward each other in the twilight by the sea in Batumi. 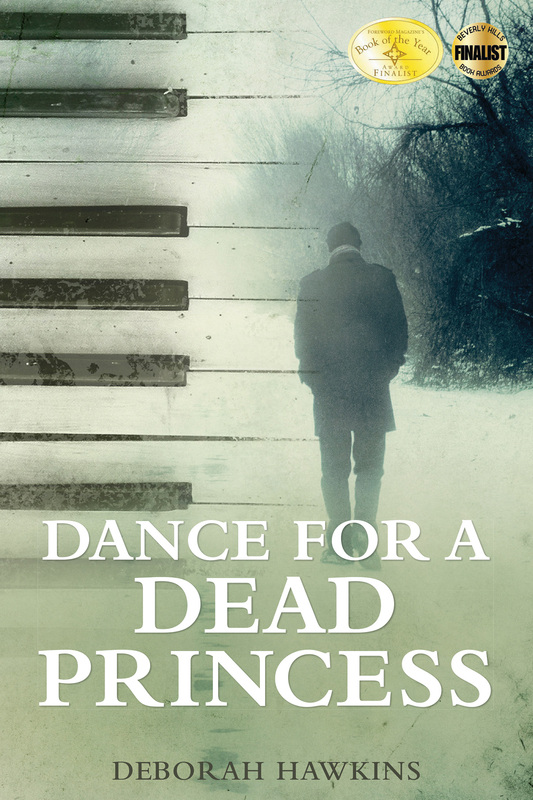 Carrie thinks she is drawn toward Stan and his artistry as a musician without realizing her obsession stems from her need to recover her own inner artist and musician, the persona she left behind when she became a lawyer. Although Stan fights his attraction to Carrie because he thinks love never lasts for him, her unconditional support shines like a beacon in his emotional darkness and draws him closer and closer, just as the computers driving “The Statue of Love” move the lovers irresistibly toward each other in the twilight. Stan and Carrie meet in a passionate embrace, like the the lovers in the “Statue of Love.” But they, too, literally pass through each other, as the pressure of their very different lives drives them apart. Stan’s insecurities lead to muffing his chance to become a big name musician in Los Angeles. Carrie finds she cannot sustain the pressure of her legal career and the demands of wife and soon-to-be mother. Tragedy strikes, moving Stan and Carrie apart, like the moving figures in the “Statue of Love.” Years pass like the hours that pass before the computer activates the moving figures in Batumi once again. And then, just as the computer switches on at the appointed time, the Universe moves Carrie and Stan toward each other once again, this time to learn love’s greatest lesson of all. 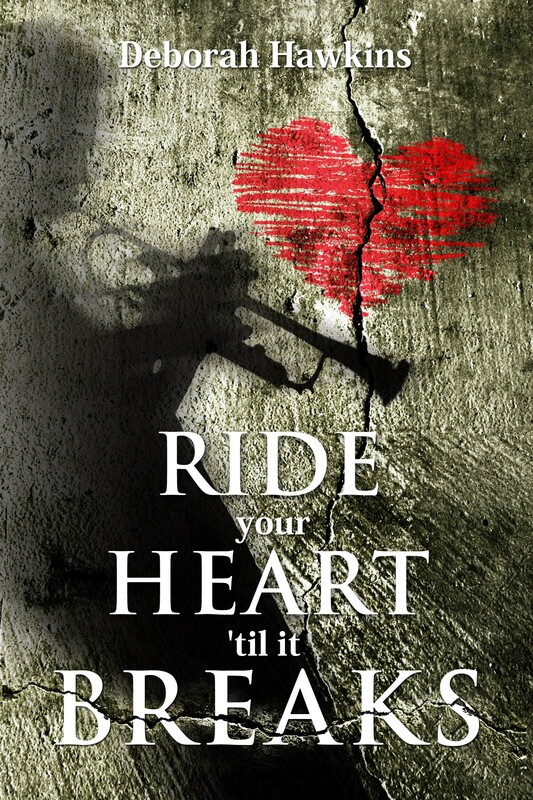 To purchase a copy of Ride Your Heart ‘Til It Breaks, click the link on the side bar of this website. And let me know if you agree or disagree with Unhappy Reader.